…reads the headline of my letter to the editor last week. has a mosquito problem. During summer high tides, water fills holes that don’t drain back out. Pools provide habitat for the salt marsh mosquito, Aedes dorsalis. People that live near the marsh complain that they can’t go outside without mosquitos biting them. “It’s hard to get to the car from the back door without several mosquito bites.” I can’t mow my yard without several layers of clothing.” “I love to garden, but I feel like I’m under house arrest, because the mosquitos are so vicious.” The motels have had cancellations, the real estate people can’t show houses, and the golfers are getting eaten alive. Pressure to DO SOMETHING NOW drove the decision to aerial spray not just the 300 acres of the Marsh, but another 10,000 to 12,000 acres of outlying area. That’s when I heard about it. Shigeo Oku, vice-president of Coos County Beekeepers Association called to warn me. “Pat, they are going to spray near your place. You better do something about it.” I’m thinking “Whaaat? The Marsh is a few miles away. They wouldn’t spray all the way down here.” Maybe I better call the newspaper and get a look at that spray map. 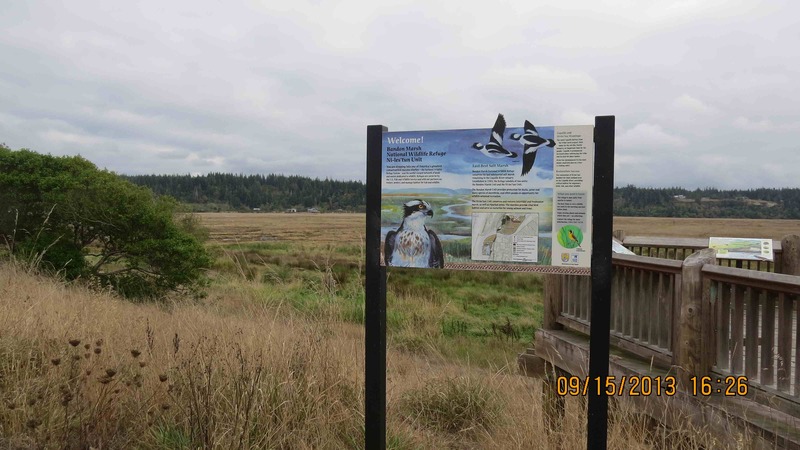 The Bandon Marsh is a few miles from me…why do they have to spray so close to me? I called the county to confirm. Yes, indeed, they are planning to spray, near my house (and hives) probably next week! Well, that doesn’t sound too bad, maybe it’ll be okay. Just to make sure I’m calling the Oregon State University Honeybee Department. I’m referred to Ramesh Sagili, (Honeybee Research and Extension Entomologist), who stated that “the residual toxicity for Dibrom is TWO DAYS!” Sagili says if the pesticide lands on a blooming plant (like a dandelion) and if the honeybee forages on that plant, the honeybee will be poisoned, for up to two days after the pesticide has been sprayed. I can’t cover my hives for two days. That’s what prompted my letter to the editor. When I read the newspaper next day, I see other people have written, most notably the Xerces Society urging the US Fish and Wildlife Service NOT to spray. Happily there were too many people for the scheduled room. A bigger room was provided. The meeting can be best described here. Most of the people were against spraying. A few people said “Please spray…My life has been turned upside down because of those (bleeped) mosquitos.” I had to sympathize with them even though I was against the spraying. I think the single argument that swayed the commissioners most came not from people wanting to save the bees and other wild pollinators and insects, nor from the people worried about a health risk, but from the cranberry farmers. Two days later, again at the County Commissioner’s meeting at the Courthouse, it was announced the Dibrom (adulticide mosquito spray) was cancelled. 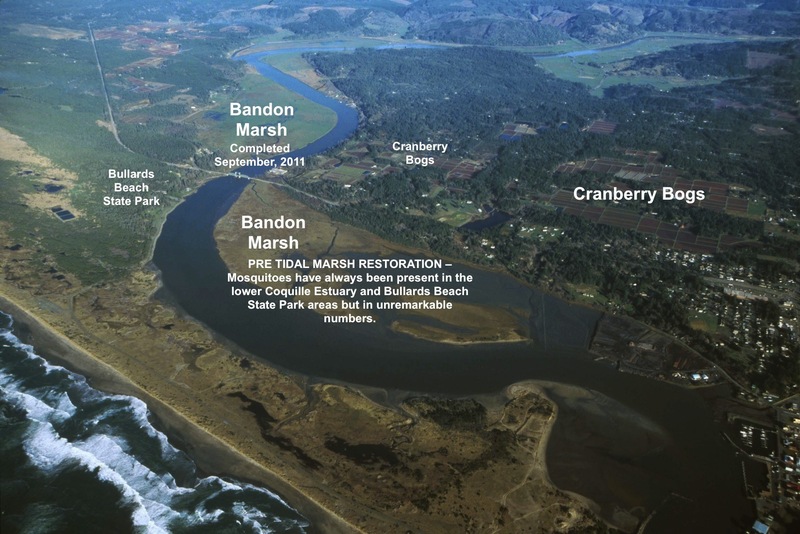 MetaLarv, which is highly toxic to a wide range of aquatic insects and crustaceans would still take place on only 300 acres directly on Bandon Marsh. While we felt bad for the wildlife that would be poisoned by the larvacide, we breathed a huge sigh of relief knowing our bees dodged a bullet. We are hoping the US Fish and Wildlife Service will now adopt an Integrated Pest Management system to prevent this from happening again. I am not of the opinion of many people that we should replace the flood gates to keep that area for farming. When we first came to the area that was a dairy farm. We hauled truckloads of cow manure to our bountiful garden. The dairy farm has been gone for many years now. If this spot is deemed good for wildlife protection and things like carbon storage then it’s a good thing. but please don’t let the mosquitos get out of control again. 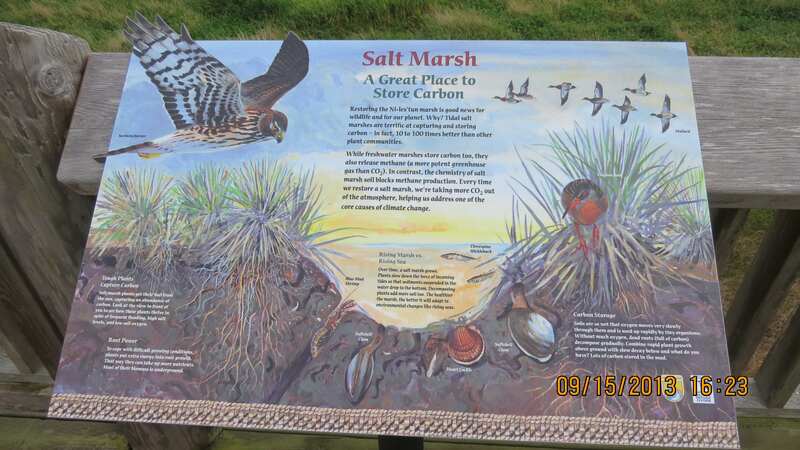 Salt Marsh, a great place to store carbon. Footnote: In a conversation with a cranberry farmer, I learned that at least one of them uses the dreaded neonicotinoids on their crop.